This page is, as far as we know, the first Web site enterely dedicated to the Zeiss Telementorrefractor and its cousin the Zeiss Telemator. In this section you can geta general overview of this fine observing instrument and why it is so special. Since Zeiss left the bussines of amateur astronomy products in mid 90's, some users that are adquiringthis telescope in the used market don't get the original manual. Here isit! Some writings in order toextract the best from your refractor. Discover what can be observed with "only" 63mm aperture. Here you can read some "first-hand"information about the Telementor/Telemator from their users. Select oneof the cards in order to see extensive reports. 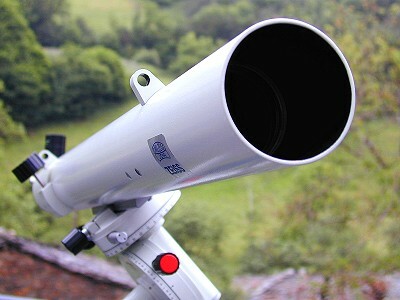 The Zeiss Telementor Scopeis no longer manufactured. Due to this, you can insert a free add hereforselling or buying Zeiss equipment.